Hockey season is coming to its end; the Stanley Cup Finals are underway. All over the country, people are cheering on their favorite teams, or perhaps adamantly cheering against conference rivals. Hockey, especially in the northern states, has some of the most diligent fans in professional sports. Minnesota itself is often referred to as the “State of Hockey.” Soon the professional season will officially be over, but you and your family can enjoy the sport all year long with your very own hockey rink! Many people are rejoicing the return of the warm weather, but hockey fans can be less than exuberant than others. Warm weather outside means no more outdoor ice rinks. Luckily, the answer to hockey fan’s prayers came in 1962 in Battle Creek Michigan: floor hockey. Played on an area the size of a basketball court, floor hockey is played much the same as ice hockey, but on tennis shoes or inline skates rather than ice skates. 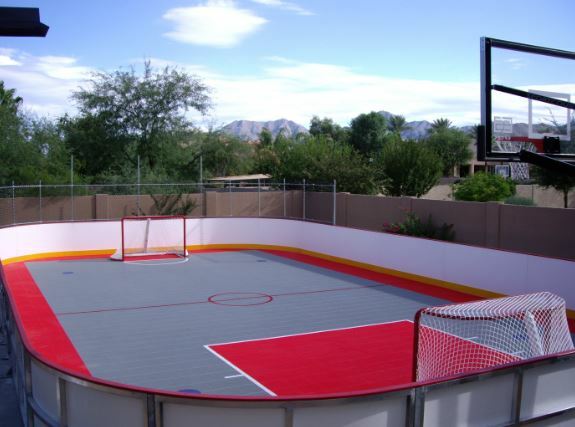 Just add a net at each end of your basketball court and gather up a puck and some sticks, and you’ve got a hockey rink to enjoy all summer long. 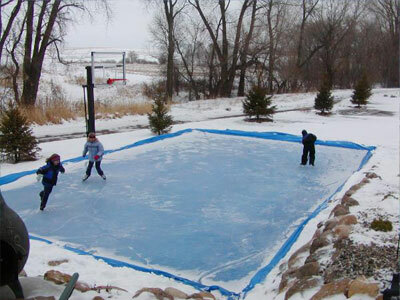 When the winter comes again to show its frigid face, flood your basketball court to create your very own outdoor ice rink! Sports Court game courts are built especially for Minnesota and Wisconsin weather, meaning they are perfectly prepared to handle the ice of winter. Having your own Sport Court will benefit you and your family in many ways- especially if your family happens to be a hockey family. Just because the season is coming to a close does not mean your love of hockey needs to. Check out our many different court options and keep the hockey spirit alive at your home all year round.